Eight Presents for Eight Nights! Eight special gifts for Eight special nights! 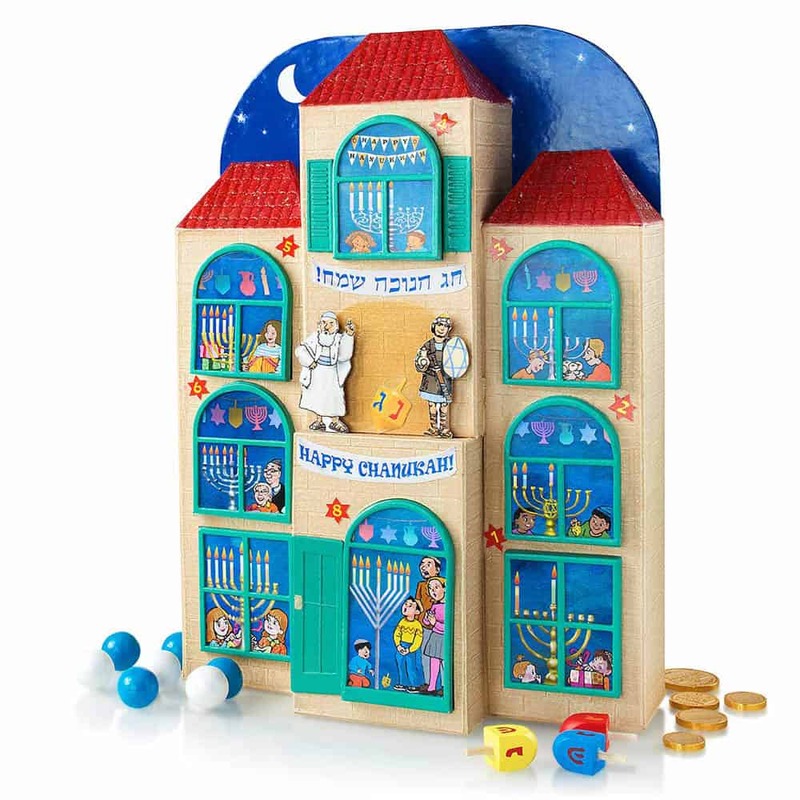 Made exclusively for the Kosher Gift Collection, this Chanukah house has seven windows and one door that opens up to reveal a host of treats and presents. Peek into the windows, and you’ll see a brightly lit menorah in each one. From one candle to eight—they light up each night. 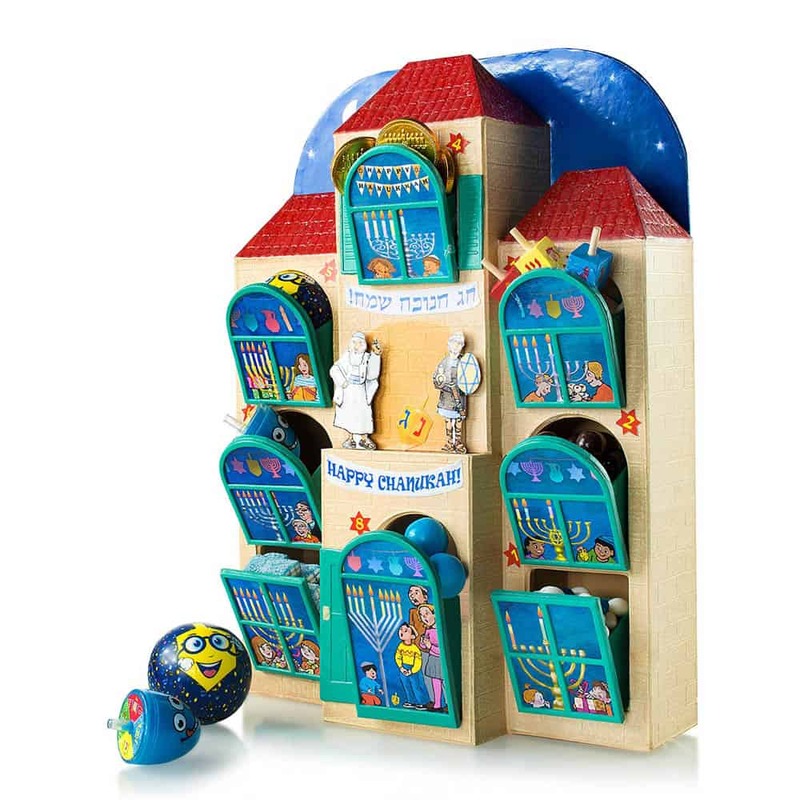 Imagine the excitement on their faces as they open each one to discover what’s inside: silly putty in a dreidel, a set of four wooden mini-dreidels, chocolate gelt, a soft dreidel ball, Chanukah Jelly Bellies, Chanukah gummies, gumballs, and Chanukah stickers! After the treats and toys are gone, it can be used to store all kinds of knick-knacks. Measures 14”H x 8″W x 4″D. All food items are individually bagged for freshness.